and used with express permission of PBS Communications. Not too long ago we were contacted by Josh Taylor and the producers of the PBS show Genealogy Roadshow asking us if we would print a chart for a young man being featured on their show. As the show discussed, this young man's name James Herschel Taylor and he is as sweet as they come. Of course, we were thrilled to help in any way we could. James Taylor is the son of Berhonda and James Taylor and he has had a keen interest in his personal genealogy, as well as ancient history. James has Asperger's Syndome, a form of Autism. He's a brilliant kid whose interest in his heritage and the world history surrounding his background is inspiring. Everyone at Genealogy Roadshow fell in love with him and his family and I have to say, we did too. We have experience with Asperger's in our family and so this story touched very close to home for us. 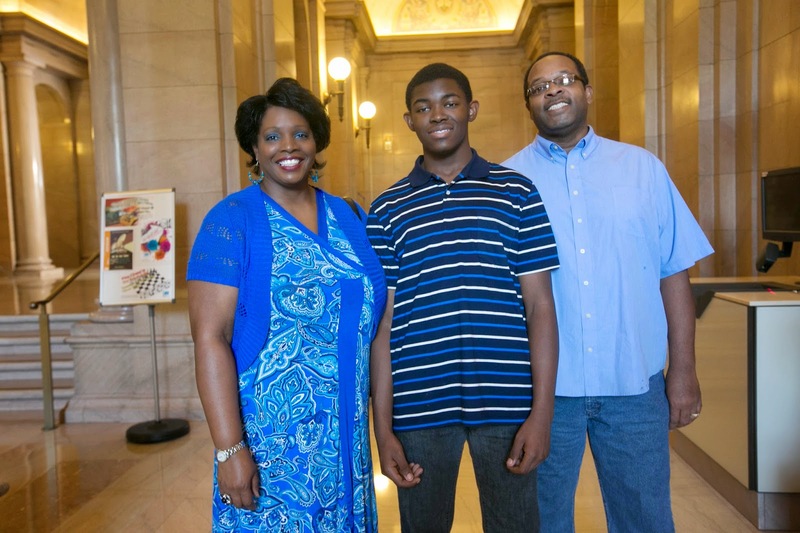 James is featured on the St. Louis Central Library episode of Genealogy Roadshow (aired January 19th, 2015) and can be found here the show's website (linked through on pbs.org). His story starts around the 33:17 minute mark and ends around the 42:43 mark. You can see our chart though from 41:52 to about 42:14. The show did a DNA profile on James and asked us to include his DNA map on the chart, to show were his ancestry in located. Now, where else can you find a chart like that? Of course, Josh knew exactly where to go for what he was looking for. We were able to pull together the chart very quickly and get it right out to the producers of the show for them to present to James and his parents. It was a great experience and of course we all got teary watching he and his family get so emotional about having their ancestry on display for them. We all enjoyed the experience of creating this chart that meant so much to James and his family. It was clear that it was important to them to not only have new information about their family, provided by Josh and the producers of the show, but also a tangible reminder of that history. It's just a great example of one of the reasons why we do this. There is distinct power and stability in being able to see those who have come before you. Berhonda, James's mother, said at one point when looking at her ancestry, "You long for someone, and you wish you could meet them." We have that innate pull and desire to know our ancestors in each of us and charts are such an amazing way to "meet" them and reinforce that connection each day. This was just another of many highlights for us at Family ChartMasters. I was so happy Josh came to me to design a chart for James and I look forward to working with Genealogy Roadshow again in the future. We hope James and his family treasures their chart, in their home, for years to come. Awesome! It was a beautiful story and a beautiful chart to go with it. Janet, I just had a feeling that the beautiful chart shown was one of your creations. It was clear that this young man was interested in his history, but when the chart was put before them, an "Aha" moment was evident in the three of them. It painted a picture for them that words can't always do. Wonderful job! Thank you for the very kind words, Peggy! That is the great thing about charts: the visual of putting it together just clicks things into place.